Inedible Ink . . .
American Pokeweed, Phytolacca americana, is another standard-bearer of late summer and early autumn flora. 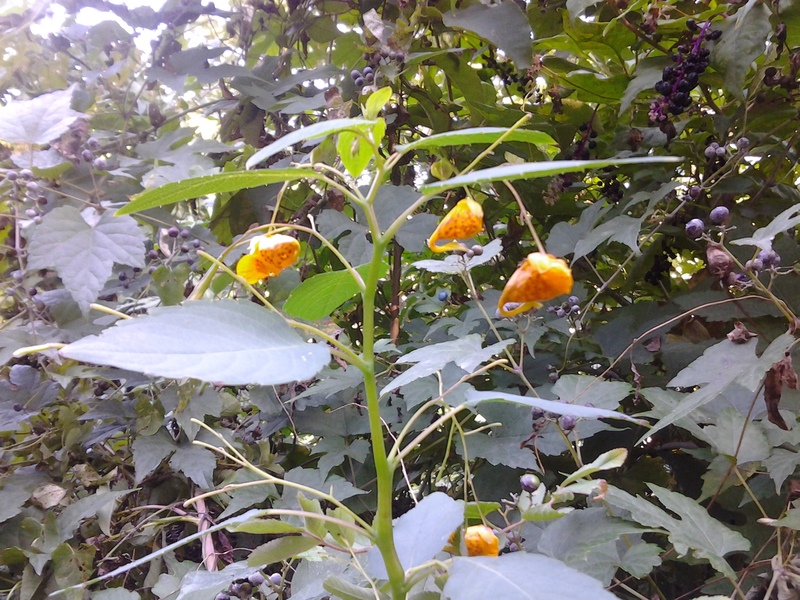 This fruity perennial is also one of the most deceptive of the common wild flowering plants. The large leaves appear as lush and salad-ready as leaf lettuce. The numerous clusters of berries are big, dark, and juicy, not unlike the elderberry. This outward appearance masks a frustrating reality: the entire Pokeberry plant is poisonous in its raw state, and its leaves are only marginally edible after repeated boiling. This native American member of the genus Phytolaccaceae can grow to be very large, sometimes as tall as ten feet when left alone. A long, strong taproot helps to make this height possible, as it gives the plant enough stability to soar. The ovate leaves are deep green and alternate along the stems, which lean toward the red end of the spectrum, not unlike rhubarb. 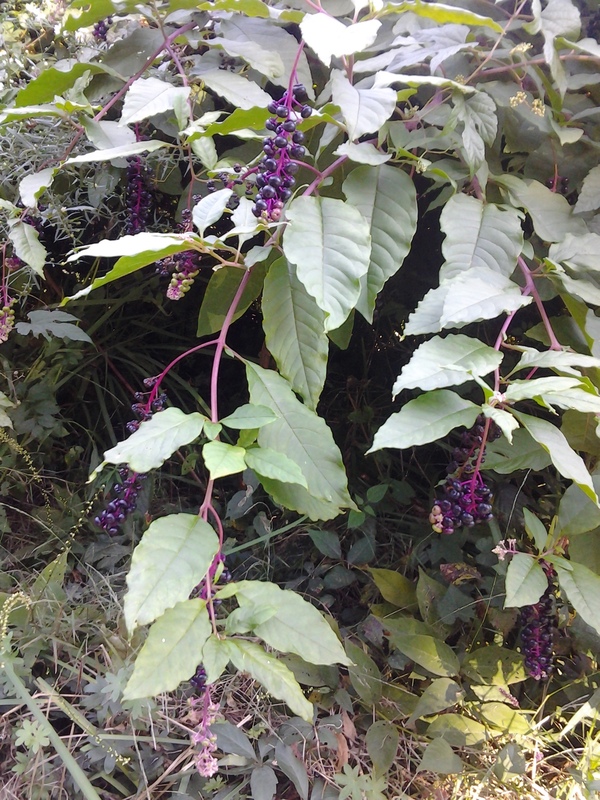 Pokeweed’s flowers are the plant’s flagship feature, making identification simple. Each plant will hold raceme clusters that simultaneously display several stages of development on the way to maturation. First, the flowers, which lack petals, nevertheless bloom in the form of white sepals supported by pedicles and peduncles of the same shade. As the season progresses, the sepals likewise transform down the length of the raceme. 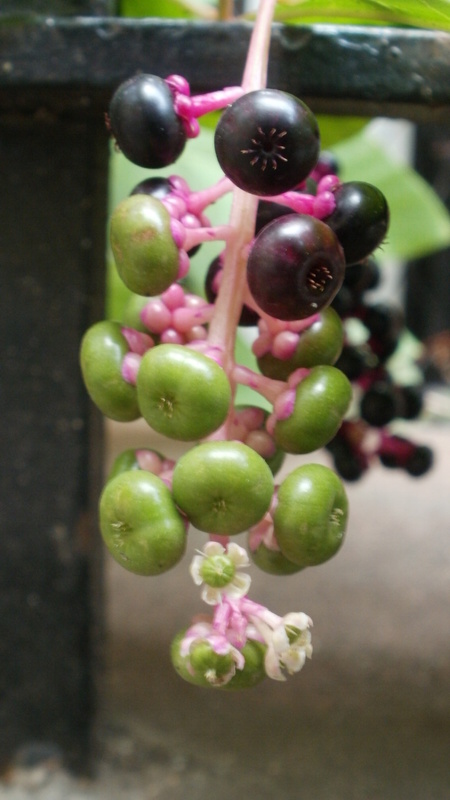 Small green berries emerge and later turn a dark purple supported by pedicles and peduncles that possess an eerie pinkish coloration similar to uncooked red meat. The fruits hang in inviting drooping clusters when at their peak of color. While poisonous to humans and other mammals, the berries are a favorite of songbirds, which cannot digest the seeds, the part that contains the active saponin toxins. The juice is very dark, and stains clothes easily, as any exploring angler who has hiked along a lake or stream bordered by Pokeweed can attest. This lasting color was used as an ink in the 19th Century. Many of the letters authored by soldiers during the Civil War used Pokeweed ink, which was readily available to them in the field. 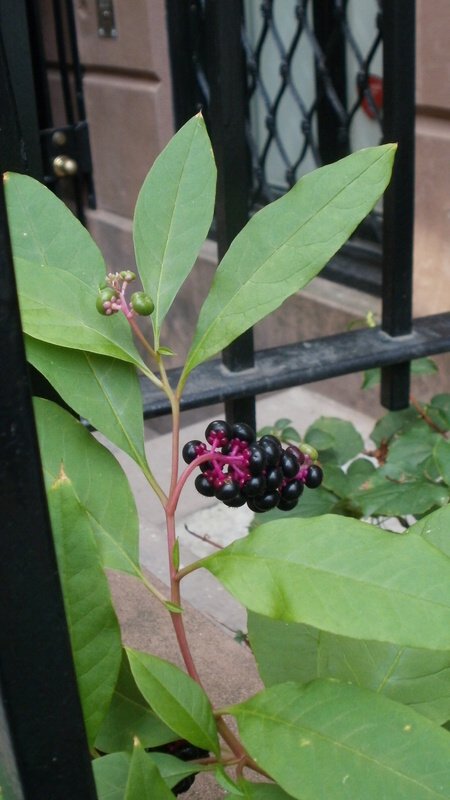 Today, in 2010, American Pokeweed is not so common in the West Village. 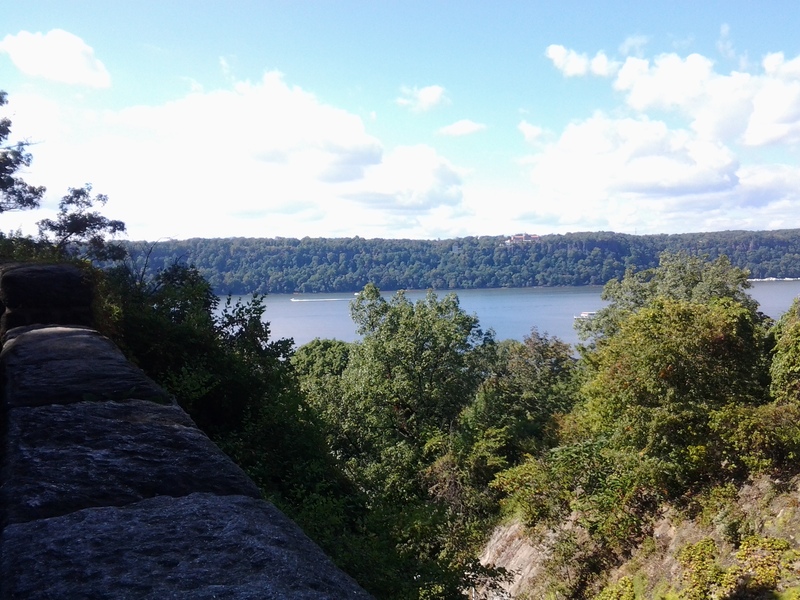 The first specimen I encountered was in the small park adjacent to the corner of 14th Street and Tenth Avenue. 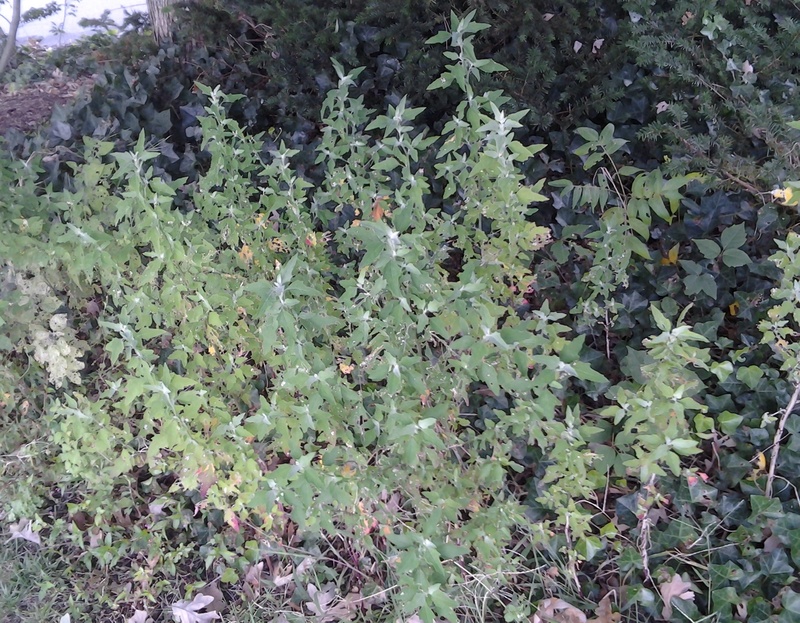 This plant was weeded out in early September before I could take a photograph. 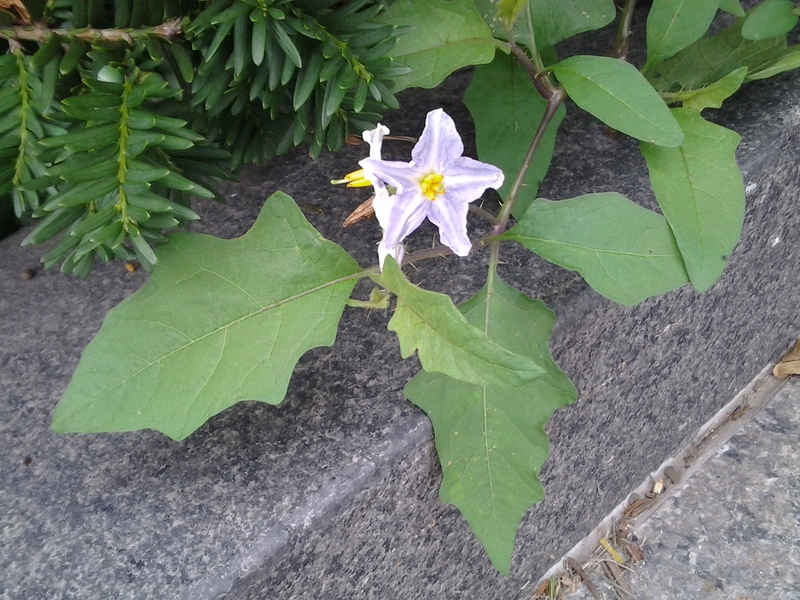 Frustrated by the plant’s premature demise, I searched in vain until the day I discovered Bittersweet growing along Waverly Place ( the street address of Donald Draper in the “Mad Men” TV series); an experience I described in my previous essay. 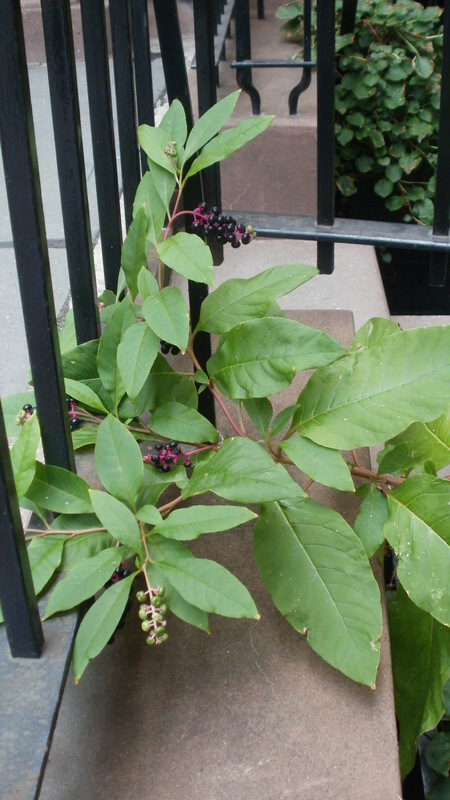 Just after I took my notes and some photos of the Bittersweet vine, I turned the corner on West 11th Street and walked directly into a single large Pokeweed growing, and flowering, from a ceramic pot placed in front of a brownstone townhouse. The plant was so tall it had bent over, creased at the main stem, so it leaned against a black iron fence for support. I was not able to picture the majestic spread of a giant flowering plant, yet I did have a living example for the Wildflowers of the West Village. And I knew the chirping cardinals and mewing catbirds on that shaded block had an attractive fruit all for their own dessert.